Westfield, Massachusetts – June 23, 2016 – Business West recently recognized Darleen Buttrick, a Project Manager and Associate at Tighe & Bond, as a 2016 “40 Under Forty” leader. The award ceremony and gala for the “40 Under Forty” winners took place on June 16 during a sold out event at the Log Cabin in Holyoke. Buttrick was one of 40 winners, selected from a highly competitive applicant pool of more than 130 nominees, to become one of the newest members of the Business West “40 under Forty” club. The award recognizes exceptional leadership both on the job and within the community. Buttrick, who joined Tighe & Bond’s Westfield office in 2005, has 11 years of professional engineering experience as a water treatment engineer. During this time, she has managed numerous water related projects for some of Tighe & Bond’s largest water utility clients. For example, she was the project manager for the recently completed $3 million ultraviolet disinfection facility for the Holyoke Water Works. An expert in the development of capital improvement plans for water facilities, she specializes in water treatment facility upgrades and renovations. 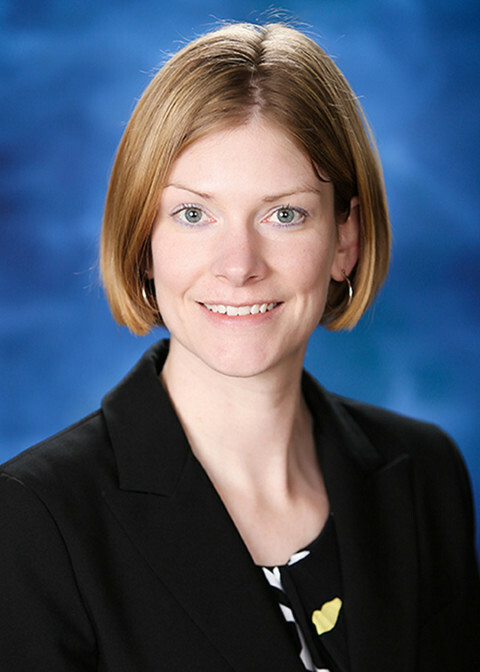 She also is Tighe & Bond’s technical specialist for water treatment plant design in the Water Practice Group. A licensed engineer in Massachusetts and Connecticut, Buttrick holds a Bachelor of Science in Chemistry from Bucknell University, and a Master of Science in Environmental Engineering from the University of Massachusetts, Amherst. She is a member of the American Water Works Association, the New England Water Works Association/Connecticut Section, and the Western Massachusetts Water Works Association. She presents frequently at professional conferences, including presentations this year for the American Water Works Association Connecticut Section, the New England Water Works Association, and the Boston Society of Civil Engineers. As a resident of Easthampton, Buttrick serves on the Aquifer Protection Committee. In addition, she launched and co-leads a Girl Scout troop in that city. She also is the Chair of the Board of Faith Formation at Edwards Church in Northampton, where she also serves as a church school teacher.